The first thing I plan for any holiday is the fun treat for my girls. 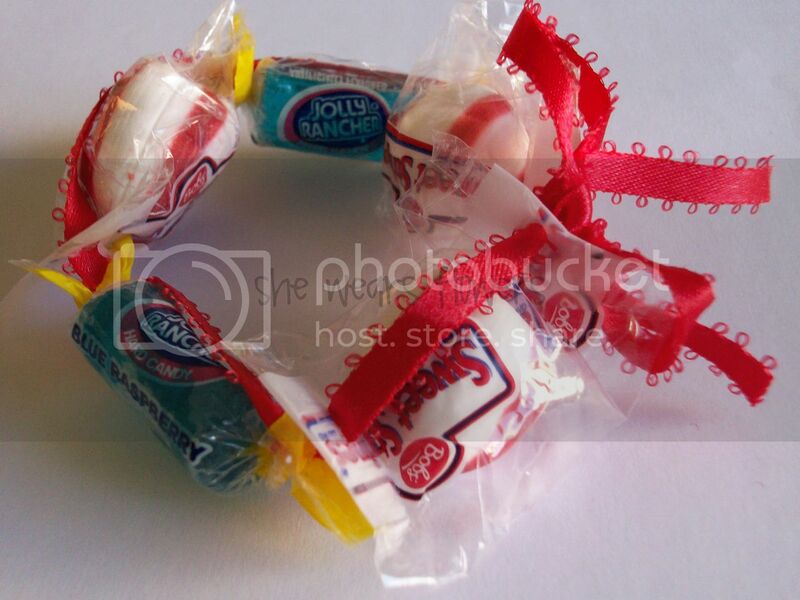 For this year's Fourth of July celebration, it will be these little candy bracelets. Small, simple, and so sweet! You, too, can easily make these in just a few minutes. All you need is candy, ribbon, a large needle with a large eye, and clear tape. 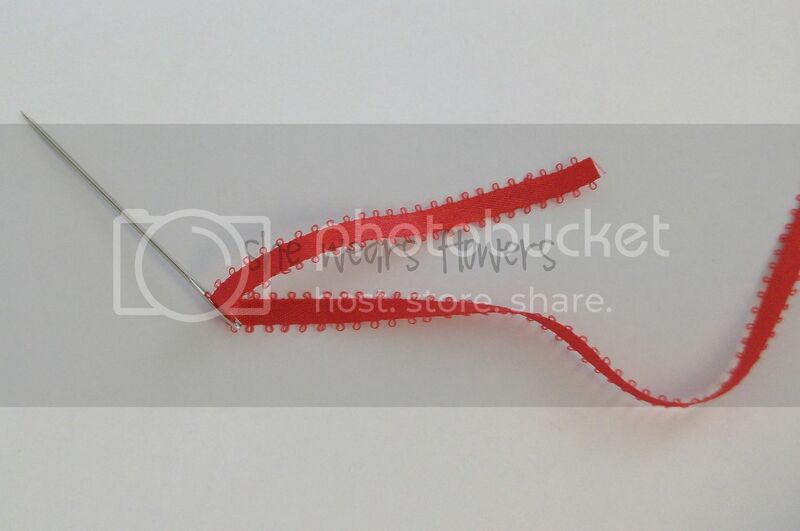 Thread the ribbon through the needle and leave a short tail. Push the needle through the end of your candy wrapper. 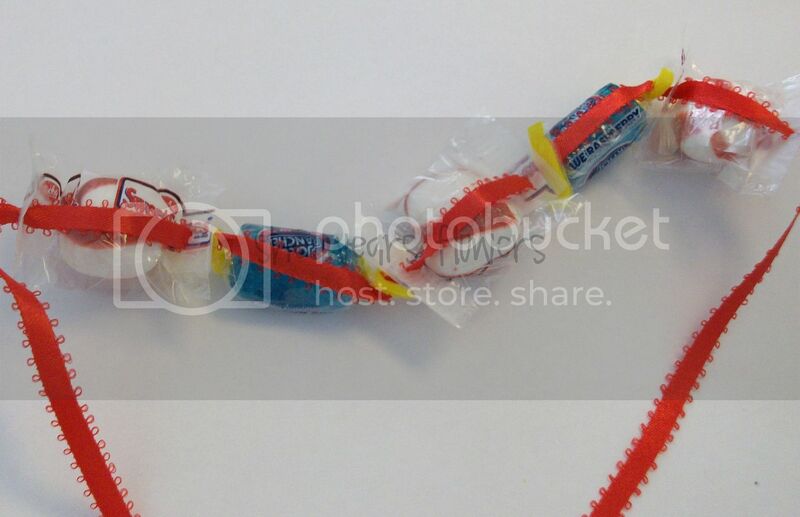 Push it back through the opposite end so the ribbon runs the length of the candy. 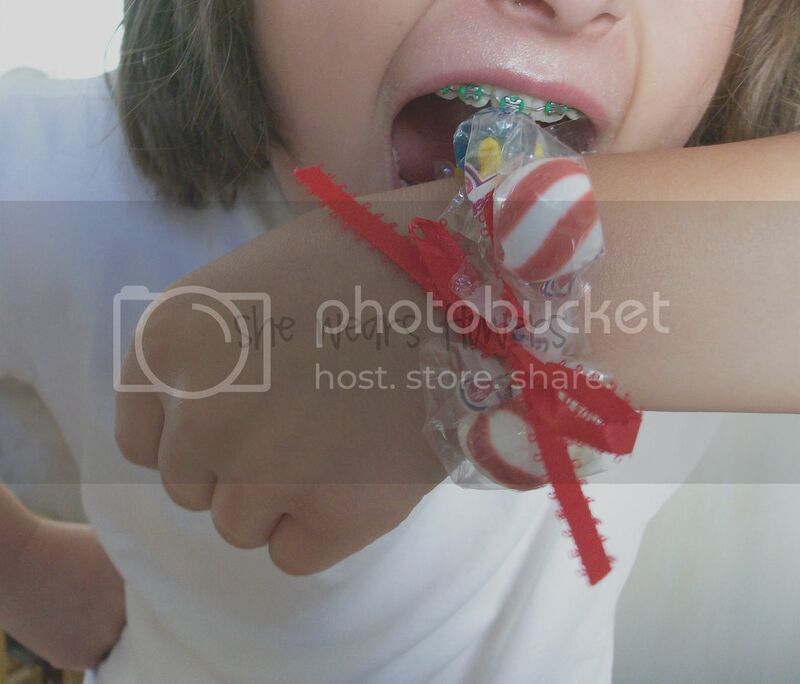 You could also let your candy dangle like charms by pushing the needle through only one end, but I didn't want that much candy on each bracelet! Tie your bracelet in a bow. I told you it was an easy one! I made a few with navy blue ribbon, too. 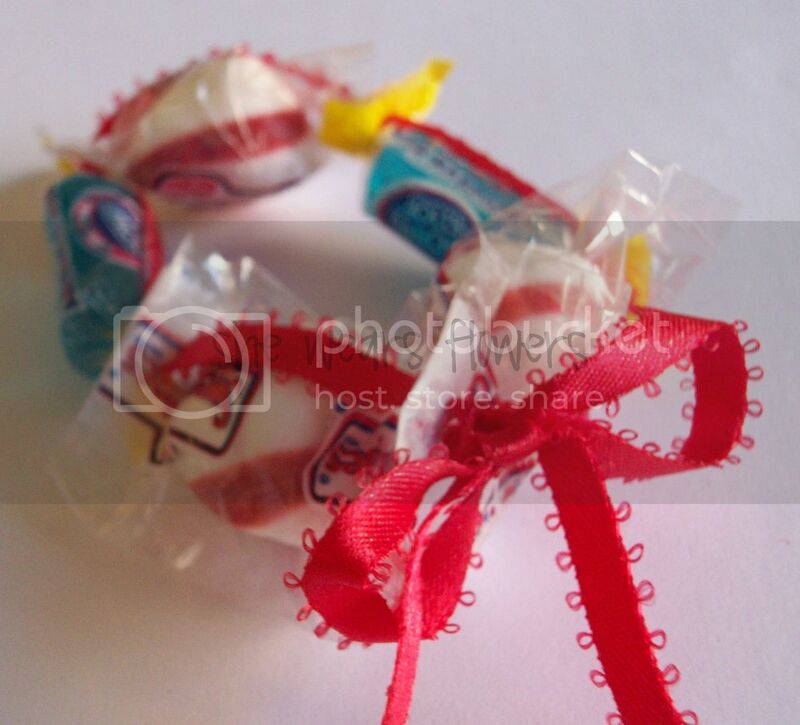 They seem a bit more sophisticated--can you call candy bracelets "sophisticated"? I thought it would work well for boys, though. 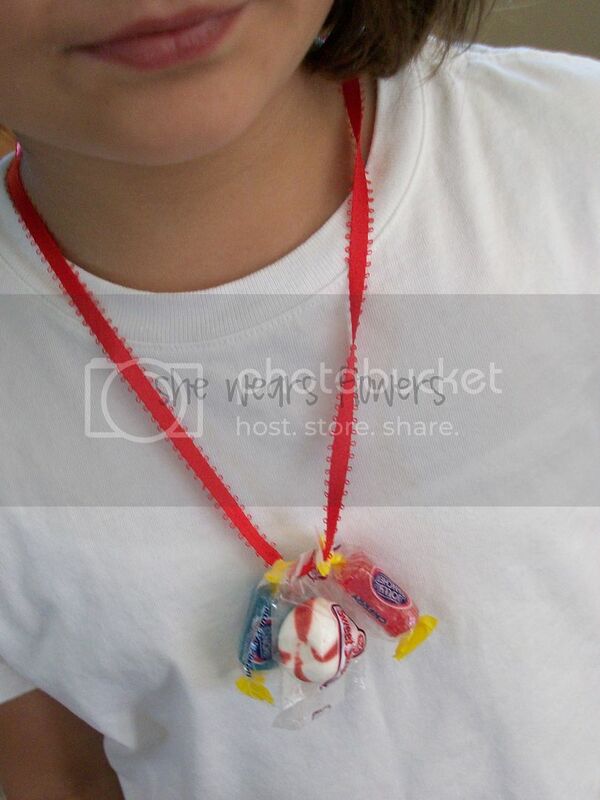 And, don't forget candy necklaces, too! My daughters told me they are sticking with the bracelets, though--more candy! I'm linking this idea HERE. great Idea, just found you from oneprettything. 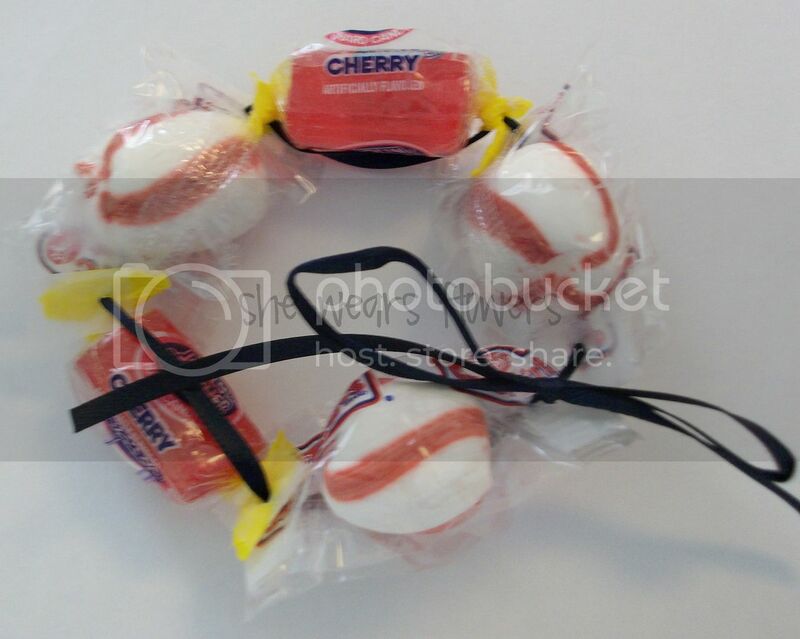 Im thinking about making these with my primary kids tomorrow.